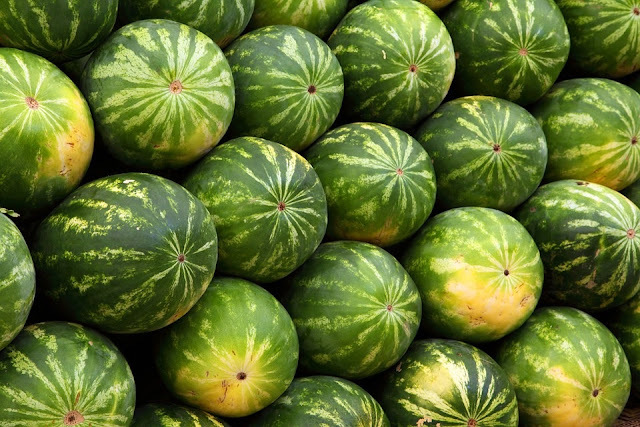 One of the booming agricultural businesses is growing watermelons commercially in Nigeria. With the huge patronizing among all Nigerian age grades, the price of watermelon in Nigeria is really very impressive. When delivered fresh, the market value is a great deal appreciative and so watermelon production in Nigeria is worth thinking about. Some of the things you need to think about when talking of watermelon farming include the watermelon yield per hectare in Nigeria and profit per acre of watermelon in Nigeria. So many people have published and sold watermelon farming in Nigeria pdf, and you can readily bump into anyone at your reach. Today we will discuss how to plant watermelon in Nigeria, and all you need to know about the booming business. To start with, you cannot discuss watermelon farming in Nigeria without going a bit back to the origin of the plant. These football sized fruits were first seen 4000 years ago in Ancient Egypt and then slowly spread to other regions of the world, especially Africa and Asia. The mass cultivation of this crop was motivated by its ability to survive in arid climates. It is so widely cultivated that in the whole world now, aside tomatoes and potatoes, it is the third most cultivated crop. This is so because watermelons not only serve as food, but have been associated with a lot of awesome health benefits. They have been proven over the years to be helpful in the correcting of metabolic deficiencies and also in the prevention of heart related issues. Watermelons are also well-loaded with nutrients such as magnesium, potassium, folic acid, iron, vitamin B, vitamin A, vitamin C and also lycopene, an antioxidant that helps in the protection of the skin from ultra-rays. This implies that you watermelons are also helpful in the prevention of sunburns, and they deserve a kudos for that! Aside that, the lycopene can also help in the reduction of the risks of cancer in humans. The lycopene that is present in the watermelons helps to prevent macalar degradation, which is a health issue common in the elderly. It also includes vitamin A which is important in our eye care. 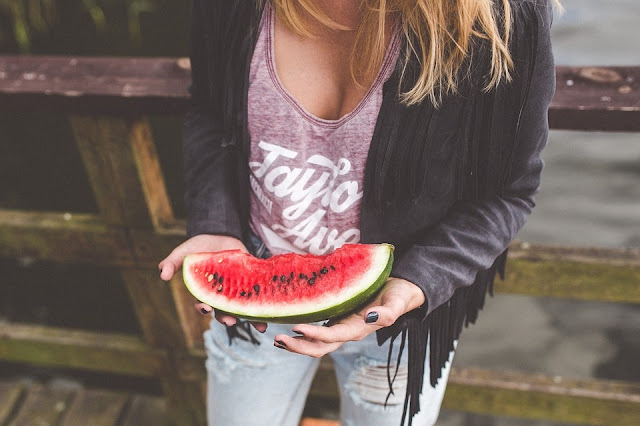 Watermelon contains citrulline, which is very helpful in the prevention of muscle soreness. Citrulline also aids in the improving of endurance and general exercise performance. Vitamins A and C are very helpful in the general skin and healthcare of the body. The lycopene as we have earlier stated, also aids in the protection of the skin from sunburn. Watermelons are very popular in the world, and highly cherished in countries like Nigeria, Ghana, Togo, Mali, Zimbabwe and the rest of them. Planting them in these countries all take the same procedures, except some indigenous farming practices which may be limited to the regions. The step-by-step procedures we will share now will be helpful to all irrespective of your locations. Watermelons do better in hot and dry climates or regions, that may answer the question of why they are cultivated more in the Northern regions. However, you can still plant them anywhere of your choice, and by adapting awesome farming practices, benefit optimally from the farming. The ideal planting period is towards the beginning of the raining season or towards the ending, because they usually have low humidity. If you want to cultivate them in the Northern part of the country, then you can do that either May or June. However, you can plant watermelons anytime you feel like, as far as you can give them the adequate water supply. Coming to the Southern Nigeria, watermelons can be planted in March for the earlier ones. You can also plant them in the ending of June or beginning of July. If you want to go with the late planting, then do that September or October. The ideal soil for cultivation of watermelons are the sandy or loamy soil, which is predominant in the North. You can plant them in a heap of compost manure, that is if your land is not so fertile. The plants also need a lot of space to do very well and you should give it to them. Avoid jam-packing of the plants. They have a smothering vine and are not supposed to come in contact with other plants. They do not climb, but can be thrive on strong trellis. When making these trellis, make sure to make them strong enough to be able to bear the growing fruits. You should plough the land before planting, and it is better to plant the crops same day of ploughing. There are a lot of species from which you can make a choice. You have to know how each of them grow to be able to plant effectively. Congo: Congo species have red juicy flesh and contain a lot of sugar. The skin is medium green in color with darker stripes and oblong in shape. They are very common in Nigeria. Black diamond: This is black in color with a sweet tasting and luscious flesh. Moon and stars: These ones are majorly known by their reddish flesh. Crimson sweet: The crimson sweet are generally very sweet and tasty. They are also very common in Nigeria. They can be planted on ridges or flat lands. If you are using the clayey soil, then beds or ridges will be a better choice. Likewise, if you are planting on a loamy soil, then you can make due with the flat soil method of propagation. A planting hole depth of 30cm is recommended. Watermelons are not favored by waterlogged environments, so you should avoid that. They sprout in a few days and a nursery isn't recommended. The rows in between the plants should be 2m apart and 1 foot apart spacing is recommended. You can also grow them in raised rows to encourage better drainage. However, the method of propagation is limited to the species and varieties and you should put that into consideration. To avoid planting bad seeds, you may need to test the quality of the seeds you are about to cultivate. Dip them in a salt solution of 3-5% and if they sink down to the bottom, they can be readily planted. You should also consider to soften the leathery watermelon seeds before planting them. To make them a bit more resistant to diseases and pests, sundry for a week before planting of the seeds. Also make sure to add humus to the soil when planting the watermelons. Organic manure negatively affect the taste of the watermelons and also weaken their immune system and should be reduced to the minimum. However organic fertilizers such as potassium and phosphorus can be used. You can mulch the soil on which you planted the crops. This will help to keep weed out of the crops. Also water them at least once a week before the become mature, watermelons need water to thrive well. Make use of inorganic fertilizers and add organic manure frequently. The plants require a high level of nitrogen when growing up however once they begin to flower and fruit, you can replace the nitrogen with other supplements such as potassium and phosphorus. Increase the exposure of the crops to sunlight and make use of trellis to support them. Some of the pests and diseases that are common to watermelons include leaf eating beetle and the mildew. The leaf eating beetles attack the leaves thereby disrupt the growth of the plants and you can reduce their attacks by improving the general living conditions of the watermelons. The plants take an average of three months to be matured and ready for harvesting, which means you can plant and harvest them for about three times annually. They can be harvested once they are ripe and you can know this by the dryness of the tendrils. You can also detect the ripeness by a dull sound when flapping the fruits. At this stage, you can hear a cracking sound when you put a little pressure around the rind. You can also check if they are ripe enough from the melons' bottom part. When ripe, the areas which are closest to the soil will be yellowish in color. After confirming this, you can cut them with a sharp knife close to the fruit and when cut, they last for about ten days. They are fresher when harvested newly and have a better market value. You should try to push them from the farm as early as possible. Transport them to your target customers and start a new planting cycle.